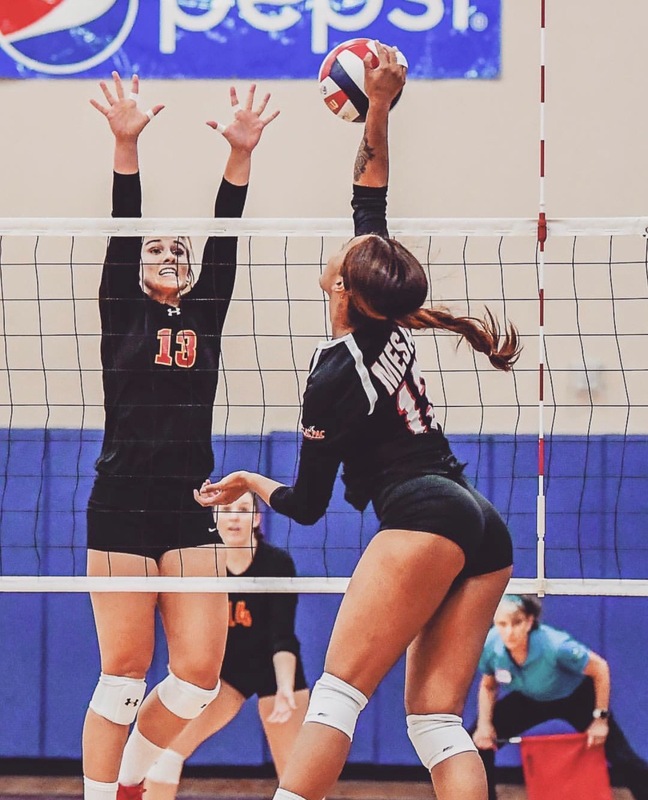 Dear Volleyball interviews Alexis Fetui, Former Mojave Rattler, Who's Making Waves in the NAIA Postseason. Daniel Velazquez Wilson. Rewind back to 2014, at this time Alexis Fetui was a student at Mojave High School competing in her senior year of volleyball as an outside hitter. Expecting to be a solid competitor and game changer for Lady Rattler volleyball. Suddenly tragedy happens. Fetui found herself in the first set of her third home game, swinging at a tight set, landing unbalanced and suffering an ACL tear. Fetui’s senior year came to an end before it even started. An unexpected end to her high school career did not hold this Vegas volleyball player back from accomplishing her goals. 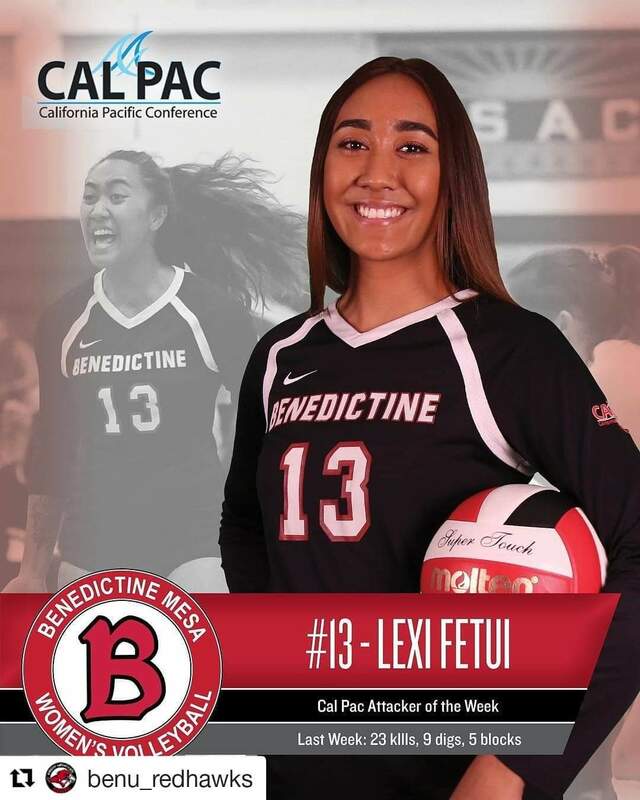 Flash forward to 2018, Fetui is at the highlight of her college career competing as a junior at Benedictine Mesa Arizona in the NAIA CAL PAC Conference. Obtaining the CAL PAC Conference “Attacker of the Week” three conservative weeks this season Fetui finds herself and her team attempting to clench a spot at the NAIA Nationals in Sioux City, Iowa later this November. In nine games, Fetui has recorded double digits in the kills category, 239 of those kills were in 35 regular season games. Fetui explained that heading into last night’s match was no different from any other. The Red Hawks emphasize the idea of team unity prior to the start of warmups each game. ”Our team is all about mediation, we envision being one unit together. Players don’t go off listening to music or goofing off. We’re an emotional team and thrive off of emotional connections, we don’t allow people to be individuals. It’s all about being one big family and creating unity” said Fetui. This tactic seems to work for the Red Hawks as just last night Fetui’s block from the right side ended the third set which led the team’s momentum moving into the fourth and final set. Upsetting La Sierra University secured her and the rest of the BenU RedHawks a spot in the CAL PAC conference finals which are scheduled for tomorrow, Saturday. In order for the RedHawks to punch their tickets to the Midwest, BenU must defeat the CAL PAC conferences #1 seed Embry-Riddle University. Confident in her team, Fetui believes that if the team is able to connect and play in tomorrow’s match like they did last night against La Sierra, punching that ticket is an achievable goal. Fetui wants young inspiring players from the valley to understand that anything they put their mind to is achievable and has this advice for them. Benedictine Mesa University’s conference finals match is schedule for Saturday, November 10 and can be viewed online at benuredhawks.com. First serve is set for 7:30pm.